Ukraine's Finance Ministry has posted a draft national budget for 2016. This 16-page long pdf-format document became available on Monday evening. As the Finance Ministry told Interfax-Ukraine, the draft budget has already been shared with lawmakers. "The draft national budget is to be discussed at a government meeting on Wednesday," the source added. According to the document, revenue of the 2016 national budget will be increased by 15.7% compared to the 2015 national budget, to UAH 5998.21 billion, including a rise of 14.8% in revenue of the general fund, to UAH 564.56 billion, while expenses will be increased by 15.8%, to UAH 673.97 billion, including a rise of 15.1% in revenue of the general fund, to UAH 638.44 billion. The upper deficit limit of the 2016 national budget is set at UAH 83.69 billion, which is 10.2% up on 2015, while in January-September 2015 the budget saw a surplus of UAH 8.8 billion, and in October the surplus was UAH 6.1 billion. Earlier, the Finance Ministry several times said that the deficit of the 2016 national budget will be within 3.7% of GDP. The upper limit of direct state debt as of late 2016 will be UAH 1.501 billion, guaranteed state debt – UAH 444.78 billion, while the 2015 national budget outlines only the limit for direct state debt – UAH 1.394 trillion, while as of late September 2015 the total debt was UAH 1.52 trillion. The draft 2016 national budget envisages the increase of government guarantees next year to UAH 28.2 billion from UAH 25 billion this year and the document expands the sources of credits raised to finance investment projects and the State Mortgage Institutions (SMI). The Cabinet of Ministers will be permitted to complete the formation of the stabilization energy fund in 2016 by the sum of up to $500 million via government guarantees, including for the purpose of buying natural gas in Europe by Naftogaz Ukrainy, while the 2015 national budget first allowed the government to the create the fund worth $1 billion. Revenue of the National Bank of Ukraine (NBU) next year will drop to UAH 34.06 billion from UAH 60.5 billion this year, while the financing of the Individuals' Deposit Guarantee Fund via the issue of government bonds will be cut from UAH 20 billion to UAH 16 billion. The Finance Ministry also proposes that the NBU conducts restructuring of its government bond portfolio. 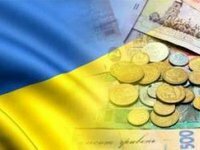 The draft 2016 budget retains the possibility of additional capitalization of banks and Naftogaz Ukrainy via the issue of government bonds, although the concrete sums are not specified (in 2015 UAH 36.5 billion and UAH 29.7 billion respectively). The Finance Ministry has the right to continue transactions on exchange of foreign state liabilities, although it is likely this concerns the completion of the debt transaction of 2015. As for social standards, the draft 2016 national proposes that subsistence wage is increased from UAH 1,330 to UAH 1,399 from May 1 and UAH 1,469 from December 1. The minimum wage will be increased from UAH 1,378 to UAH 1,450 from May 1 and UAH 1,550 from December 1. The cabinet is also permitted to restructure the balance of the effective debt of UAH 7.54 billion as of January 1, 2015 under court rulings.